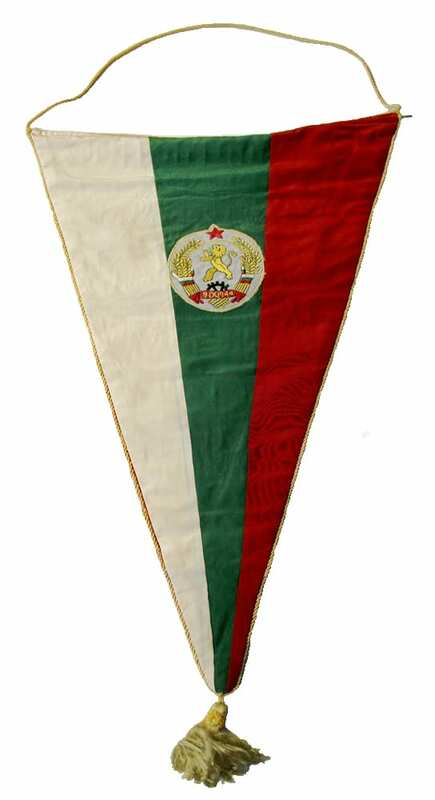 Description: Bulgarian pennant exchanged at the basketball match between Finland and Bulgaria at the 1952 Olympic Games. Emblem of People’s Republic of Bulgaria on three vertical stripes in the colours of the Bulgarian flag (white, green and red). One tassel at the tip. No supporting bar included.